The Winning Wines Plus has long been a staple in the Edmonton small-business community, with over thirty years of experience in the home wine and beer making industry. 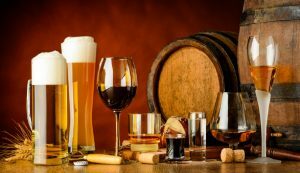 While starting small, they’ve grown their company into a successful specialty retailer, selling the best possible wine and beer making products, at very affordable prices. “We’ve seen many competitors come and go in the 30 years that we’ve been in business,” noted Andrew Stephenson, owner and manager of the Lendrum Place Shopping Centre location. “Our customers learn to depend on us when they need help, and we gladly provide any assistance that we can. We’re all wine and beer makers ourselves, and we’ve learned many of the answers to questions that our customers ask from our own brewing experiences.” Winning Wines Plus also offers free winemaking classes, where staff share some of their own secrets to making the perfect batch of wine. One of the biggest changes in the home-winemaking field since the first Winning Wines Plus (Brew Crew) opened its doors in 1985, is in the overall increase in quality of premium home wine and beer making products. In the not too distant past, the only way to make a decent wine at home was to stem and crush fresh, volatile grapes, all from scratch, which was far beyond the reach of the average hobbyist. And even then, the results were often far from pleasing. During the past decade, the quality of the products available to the average home-winemaker has increased dramatically, allowing an amateur to produce high quality wines, with a delicate bouquet and rich, full body, all without resorting to the mess and trouble of dealing with the unpredictable quality of fresh grapes. Winemaking has become something that can be done by almost anyone willing to follow a short list of simple directions. And the combination seems to be working. The Winning Wines Plus continues to grow, thriving in an industry that sees more and more people wanting to produce premium, quality wines, valuing customer service and support, and appreciating the friendly advice of knowledgeable staff.